A highly attractive concert setting, superb music and some glorious singing mark the return of those crowd-pleasing Pirates of Penzance. While energy is effervescently high, the comic results of sight gags and other modern touches are mixed at best, and often detract from the singing. There is a reason a show is still performed after 133 years. 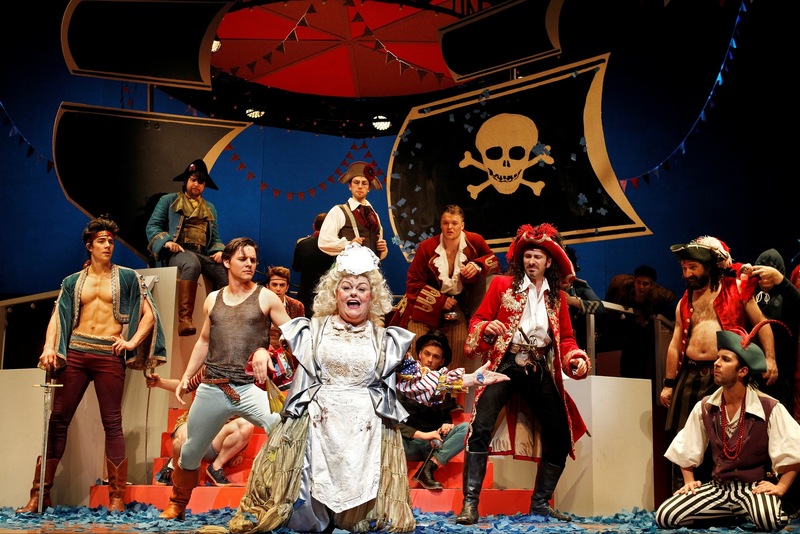 Audiences across the decades have loved and enjoyed the infectious music, witty lyrics and colourful characters of Gilbert and Sullivan’s delightful operetta The Pirates of Penzance. The quality of the show speaks for itself, and the Broadway version has already sufficiently updated the music and dialogue style from operetta to musical comedy. The Production Company’s new staging looks terrific and sounds wonderful, but the inherently funny nature of the show has been somewhat undermined by many of the directorial choices, with some inappropriate costume stylings not helping either. 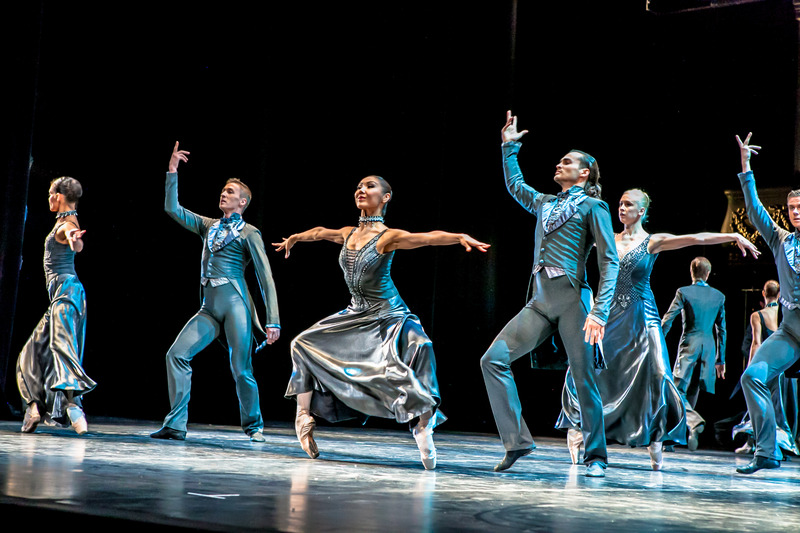 Direction, by Dean Bryant, is bright and peppy, but disappoints in the use of upstaging and overuse of action and movement. Instead of trusting the time-revered comedy, the audience is hit over the head with unnecessary distractions. Attention is taken in the opening scene by a puppeteer (Brent Hill) working a parrot puppet, which is so small it really serves no purpose. Mabel singing her exquisite call and answer duet section of “Poor Wandering One” with the squawking parrot makes no sense. 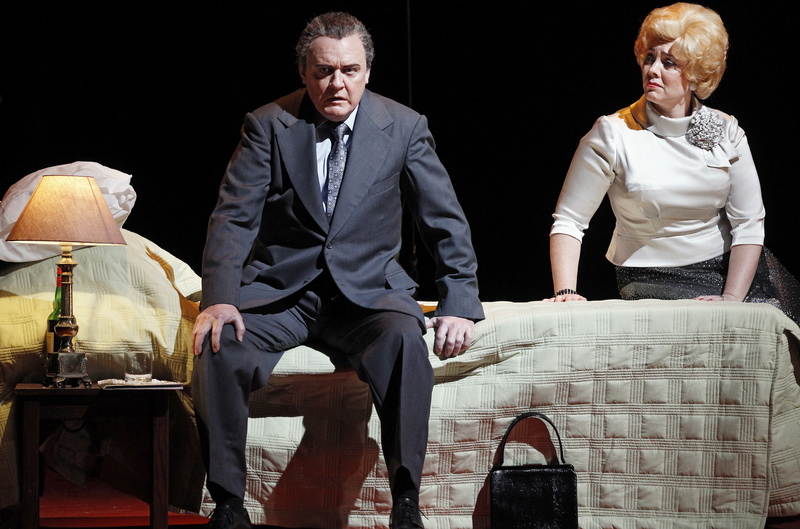 The most poignant moment of the show is ruined when a policeman sprinkles glitter behind Mabel and Frederick’s performance of the divine duet “Ah, Leave Me Not (He Loves Thee).” With the Penzance setting retained, the use of Australian accents makes no sense at all. 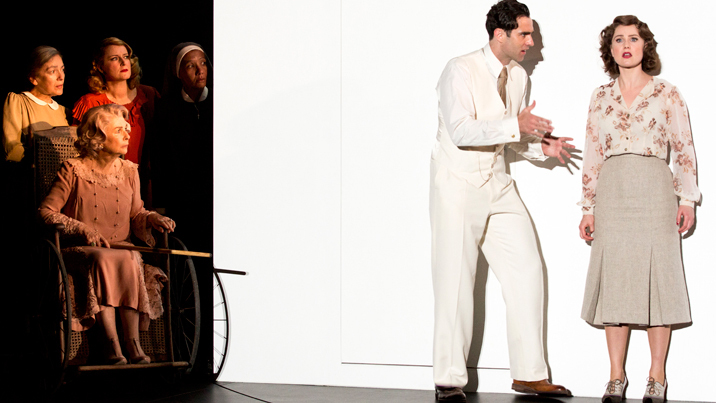 The very English bandstand on stage is perhaps the most inspired placement of the orchestra in The Production Company’s 15-year history. Excellent use is made of the height and width of the performance space, including use of the Choir seating banks for entrances and exits. Dale Ferguson’s set design also features a clever jigsaw of a pirate ship and festive bunting. Excellent lighting, by Gavan Swift, completes the appealing picture. 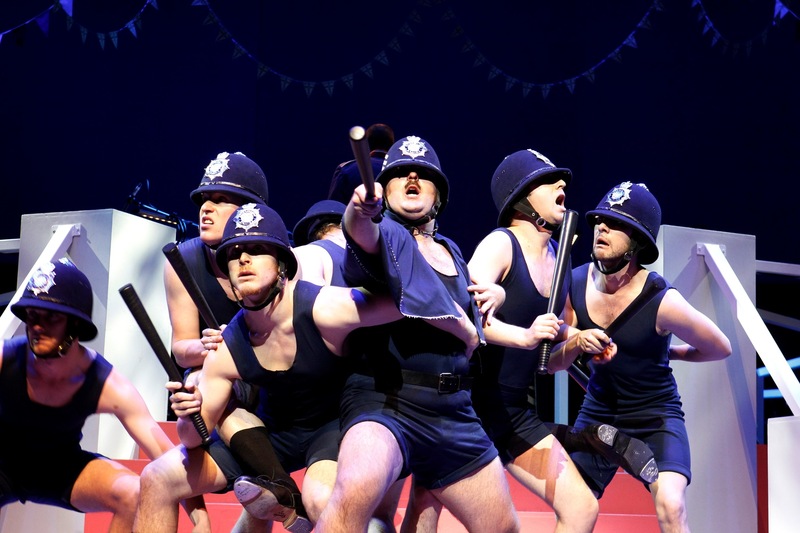 Tim Chappel and Owen Phillips’ highly individualised costumes aid the strong quirky character work Bryant has achieved with the chorus, whilst also containing further odd choices. The script still refers to 1856, yet some of the pirates sport jeans. In tight jeans and glitter singlet, Frederick is dressed for a night at the Greyhound. In act two, spurned nursemaid Ruth should look like she has updated her look to that of a pirate, but her complete transformation, into a mess of garish colours resembling a Moomba float, meant the audience did not even recognise her on her re-entry. Apprentice Frederic detests piracy, yet looks and dresses the same as the other pirates, even after he has left them. One maiden popping out a pair of sunglasses could be fun, but all the daughters entering wearing them just jars with the otherwise period costumes. The blue singlets and bike pants of the policeman can surely only be explained by budget constraints, but there is no explanation for hiding the wonderfully expressive face of Brent Hill (Sergeant of Police) under an oversized helmet. Andrew Hallsworth has reliably concocted some enjoyable dance moves, with the tap beats of “When A Felon’s Not Engaged in His Employment” being a welcome touch. Too often though, chorus and principals move so much during songs that the lyrics are basically lost. Mabel should be able to at least stand and sing the gorgeous cadenzas of “Poor Wandering One” rather than chase Frederic about the stage. Lyon sings with a rich, pure soprano voice of deceptive strength given her petite frame. 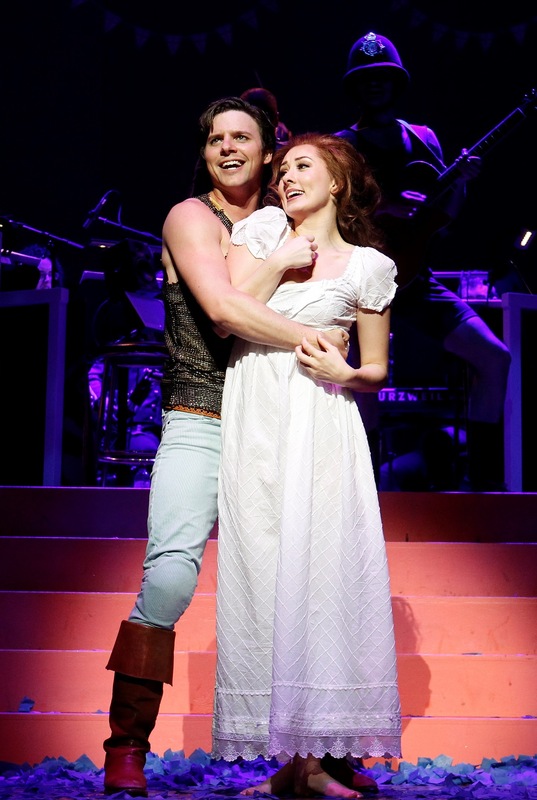 She enjoys good chemistry with Keegan, and easily matches his vocal power in their wonderful duets. In the only quiet, focused moment of the staging, Lyon delivers an exquisite rendition of Pinafore’s “Sorry Her Lot,” accompanied only by Robert Tripolino, from the ensemble, on guitar. Experienced character actress Genevieve Lemon performs the role of Ruth in broad strokes, managing the singing without showing particular operetta-like flair. Wayne Scott Kermond is a nimble Major General Stanley, enunciating his rapid patter lyrics with clear diction. A trio of topnotch music theatre talents play Mabel’s sisters Edith, Kate and Isabel. Stephanie Grigg, Josie Lane and Jennifer Peers each sing up a storm, skillfully projecting warmth and sparkle. The large ensemble maintains infectious energy levels, clearly enjoying themselves as they work together as one. 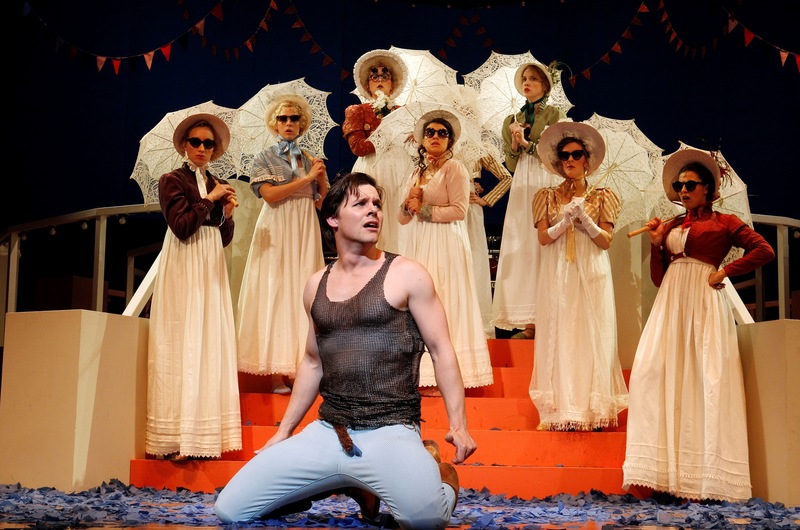 Chorus singing is the best heard on the Melbourne music theatre stage this year. Great to see Theatre People favourite Nick Kong in the cast. Hearty congratulations to young Melbourne performer Nick Hedger on his professional debut. 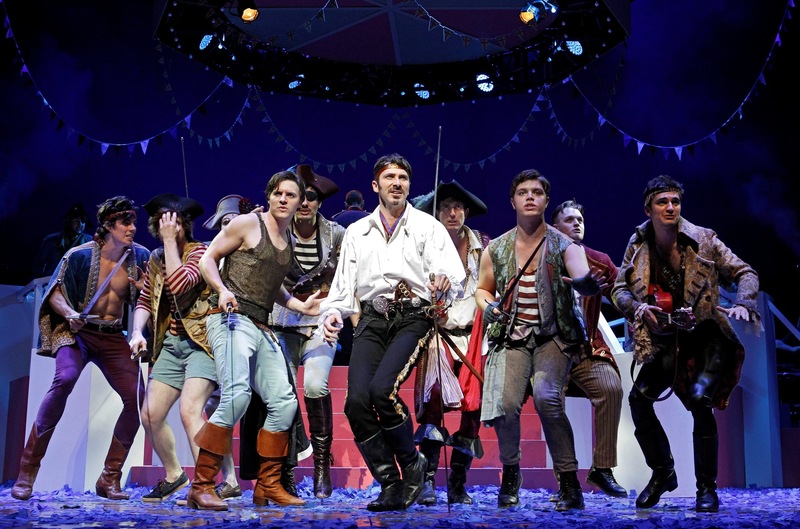 Quibbles aside, the talent of this production, as well as the quality of the show itself, make Pirates a crowd-pleasing night in the theatre. I’m sorry, but I really liked the parrot… I thought it was cute and funny.